The garden city's celebs wish the newly-weds. 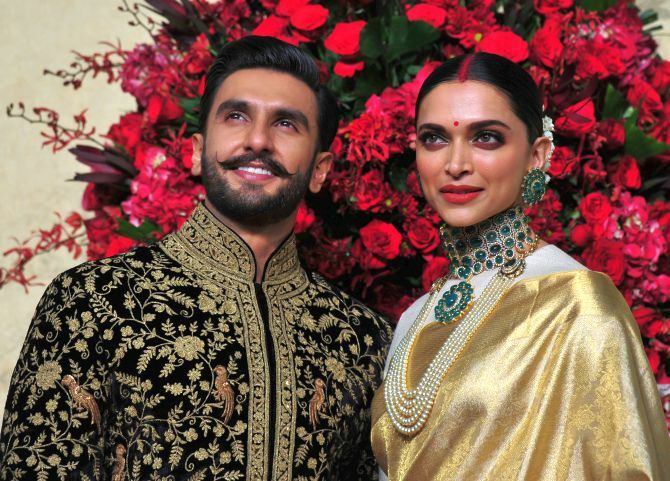 Newlyweds Ranveer Singh and Deepika Padukone hosted their wedding reception in Bengaluru on November 21. They made their appearance at the evening reception in grand style and interacted with the media and photo-journalists. 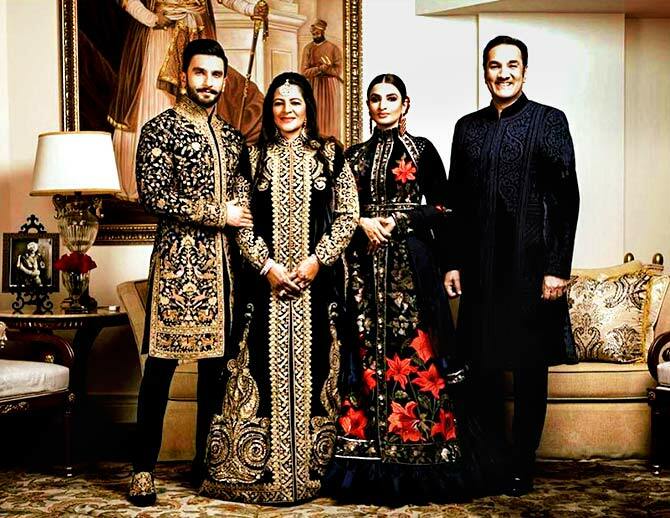 Ranveer wore a stunning black and gold sherwani, while Deepika shimmered in a gold silk sari and full-sleeved ivory blouse gifted by her mother, Ujjala Padukone. The sari, like the one she wore for her wedding, was designed by the Angadi Galleria in Bengaluru. Her jewellery included a heavy emerald set and a necklace and a long four-strand pearl necklace. DeepVeer’s look for the reception was styled by ace designer Sabyasachi Mukherjee. Ranveer proved himself to be a perfect husband as he fixed Deepika's sari for the pictures. Then, much to the delight of the photographers, he blew her a flying kiss. The estimated 500-1,000 guests included Deepika and Ranveer's extended family. 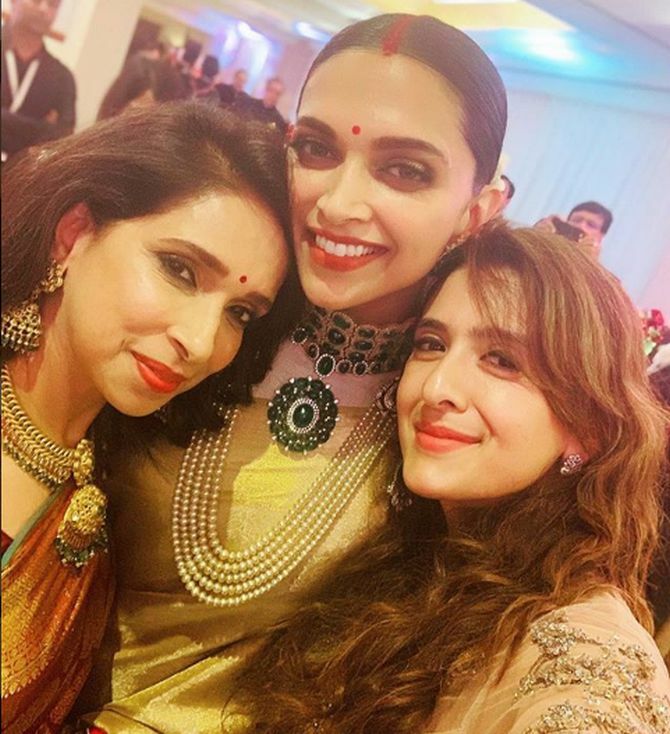 Deepika’s parents, her sister, Anisha, Ranveer's parents Jagjit Singh and Anju Bhavnani and his sister, Ritika Bhavnani, welcomed the guests. 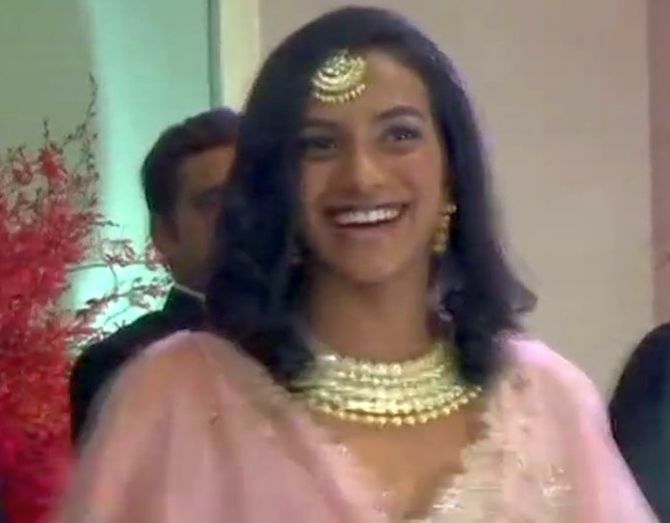 Badminton star P V Sindhu was among those present to wish the newly-weds. Deepika had played state-level badminton before turning to modelling and films. Her father, Prakash Padukone, was ranked the World’s No 1 badminton player in 1980 and has won the National title nine times in a row. Former India captain Anil Kumble graced the occasion with his wife, Chethana Ramatheertha. Also attending the reception were Biocon founder Kiran Mazumdar Shaw, Infosys Foundation chairperson Sudha Murty and Infosys co-founder Nandan Nilekani and his wife, Rohini. In pictures posted on social media earlier, Deepika was seen personally supervising the preparations at the Hotel Leela Palace. The venue was decked with red roses as Deepika is extremely fond of flowers. DeepVeer will host another reception in Mumbai on November 28. PIX: Ranveer reaches Deepika's home!